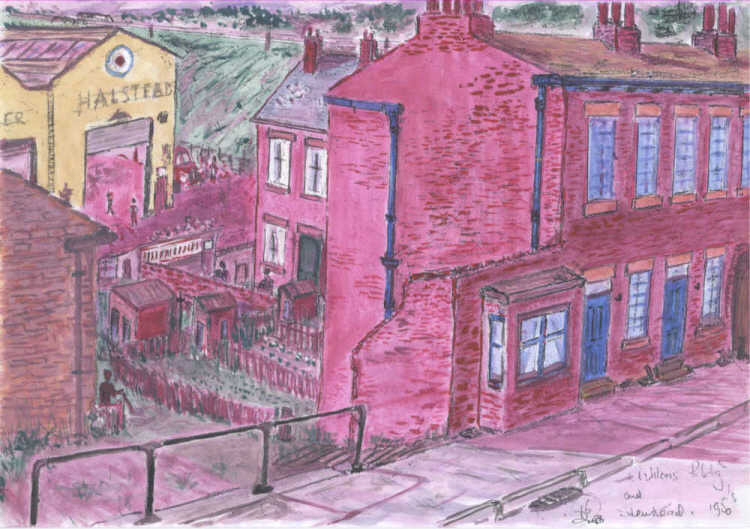 Ashton's Buildings was a large block of back-to-back houses, and rather like 'Prop' Row, it was vibrant and lively. Many well-known Flushdyke families were born and brought up there, including the Heys, Silcocks, Wilbys, Booths and Dews. The Mackie, Longbottom and Scholey families also lived in this area. In the background is Horace Longbottom's pigeon loft and Albert Scholey's house. Behind the houses are the workshops of Spencer and Halstead, and the LNER railway banking.